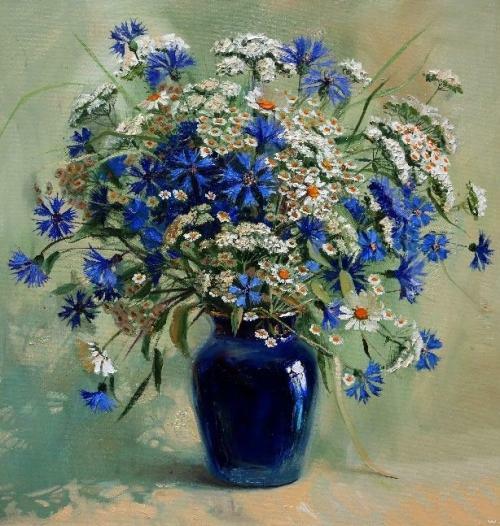 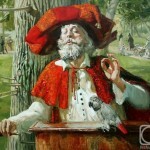 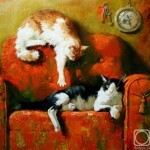 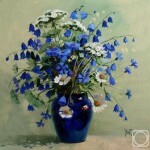 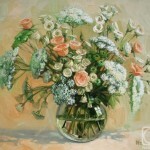 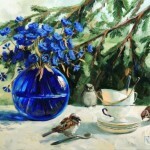 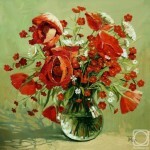 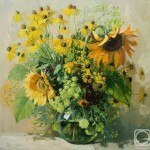 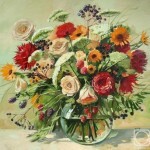 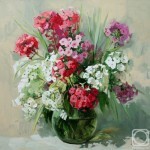 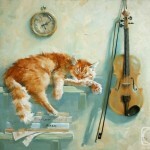 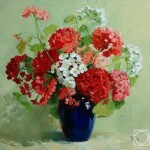 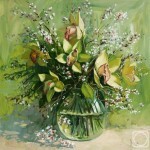 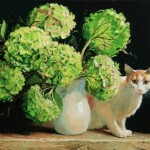 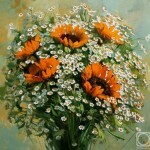 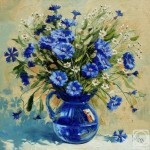 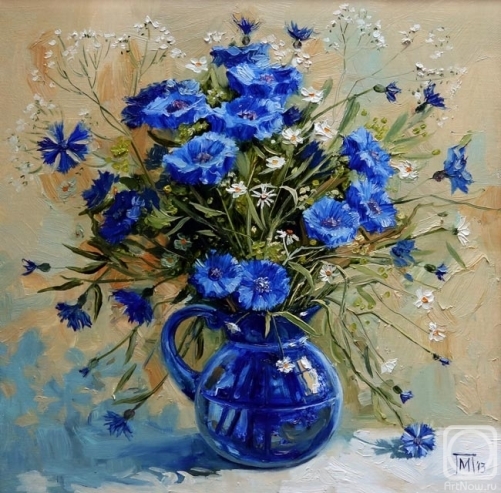 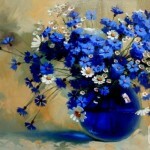 Painting by Maria Pavlova – beautiful still life of bouquets of wild flowers, cats, and birds. 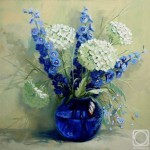 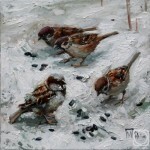 According to the artist, she creates paintings which would decorate any wall. 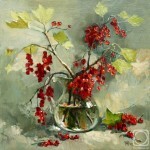 St. Petersburg based artist Maria Pavlova graduated from the Institute of Painting, Sculpture and Architecture named after Repin of the Academy of Fine Arts. 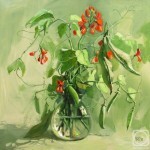 Besides, she has been a member of the Union of Artists of St. Petersburg since 2005. 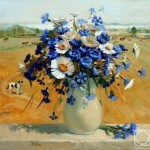 Her art credo: “Art should cause only positive emotions”. 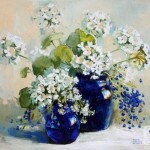 Maria Pavlova participated in the exhibition “Impressionisme Russe” in the Russian Center in Paris in 2001. 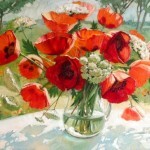 Then, followed her numerous solo exhibitions in Paris. 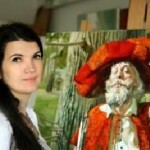 In particular, “Festival D’Art Slave”, “La siecle dor”, “VI Festival of Slavic Culture, and “Rencontres de printemps” in 2002-2003, 2013, and 2014. 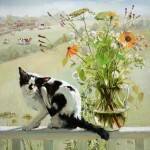 She has been a permanent participant of art exhibitions in her native St. Petersburg (2003 – 2015).